Getting quality outdoor time during the winter can come with a few sacrifices, but a delicious cocktail need not be one of them. That’s why we’ve hand-picked six hot cocktail recipes that can be made at home or in the outdoors to warm the fingertips and elevate the spirits of those who play in the snow and cold temperatures. We recruited professional NYC bartender with a General Certificate in Distilling, Ryan Herzog, to curate and adapt these recipes for winter adventures of all varieties. A close cousin to Irish coffee, this Italian variation calls for bittersweet amaro to add depth and, well, spirit to your daily brew. 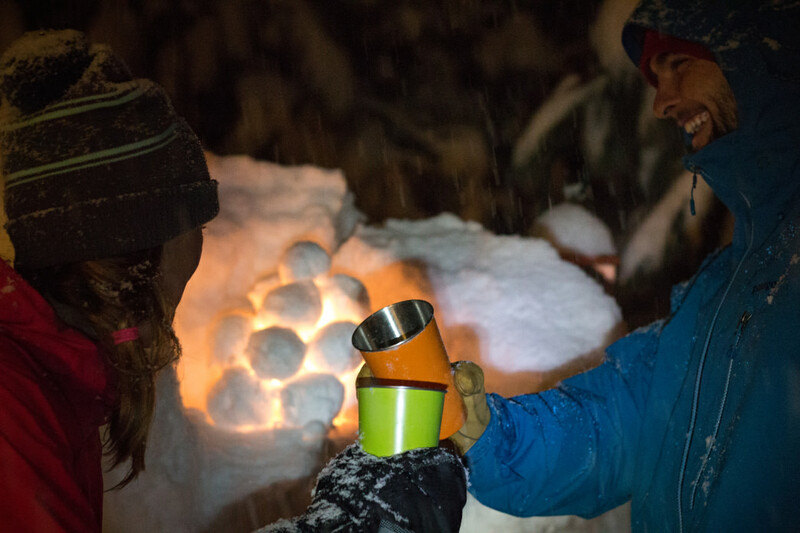 Try it: instead of your usual morning coffee before setting out for first chair on a powder day. Alternatively, stash a small flask of amaro in your jacket to spike a cup of coffee from the lodge. To be honest, though, this simple recipe pairs well with just about any winter activity, from camping to shoveling the driveway. Add Italian amaro to hot coffee and top with whipped cream. For Irish coffee, substitute amaro with Irish whisky. For a different twist, try a less-than-traditional Monk’s Coffee, substituting 1 ½ ounces of green Chartreuse for the amaro. This French liqueur made with herbs, plants, and flowers has a uniquely alpine taste that pairs nicely with mountain adventures. This Southern concoction brings together the classic taste of American bourbon with the exotic spices of chai tea. Try it: after a day of cool-weather rock climbing, hiking, or paddling. 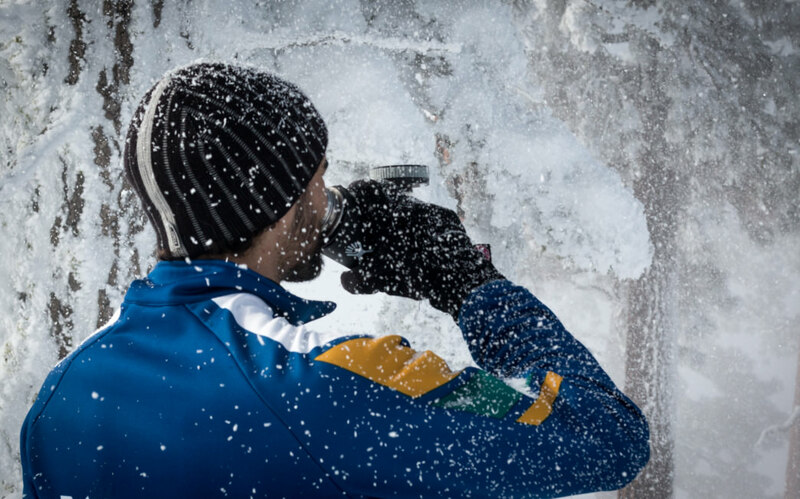 Full of bold and cozy flavors, this drink is the go-to for those who adamantly pursue their favorite outdoor activities despite the cold temperatures. Brew hot chai tea. Mix all other ingredients, then add to hot tea. Adding a twist to classic hot buttered rum, this variation revives the all-American liquor beloved in colonial times: applejack. Try it: after a full day of skiing or snowboarding. The butter will replenish a few of those calories you burned on the mountain, and the rich flavor of dark rum will match your bold moves on the slopes. To make simple syrup, mix equal parts sugar and water. Heating the mixture is not necessary—the sugar will dissolve with a good stir. Mix all ingredients together, adding hot water last. Garnish with grated nutmeg. Reminiscent of mulled wine, this hot spiced cider recipe could rival the traditional wintertime staple. 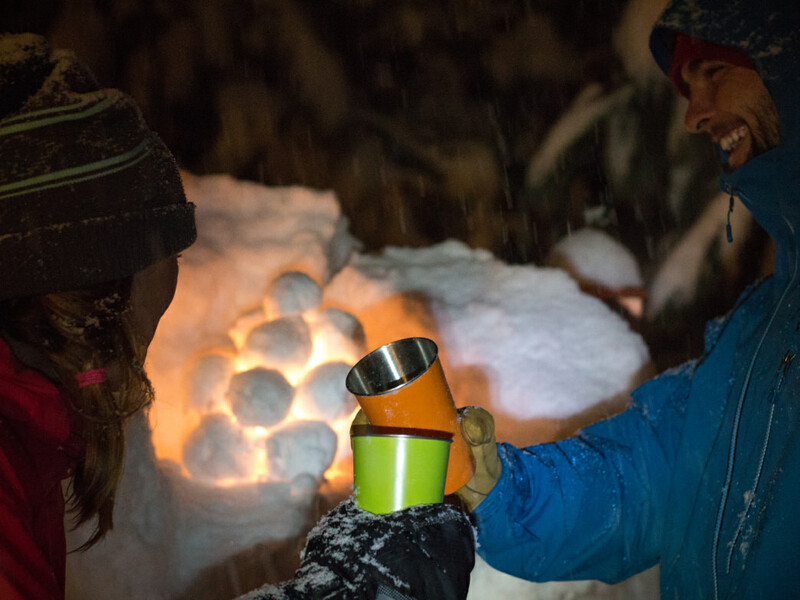 Try it: in a Thermos to sip on while backcountry touring or taking a break from Nordic skiing. Warming spices and a low alcohol content make this cocktail a welcome companion for high-intensity activities. Since this recipe makes four servings, split it with your trail buddies to spread the warmth. Add all ingredients except hard cider into a saucepan and bring to a boil, then simmer for 10 minutes. Use a colander to strain the mixture and pour liquid back into the pot. Add the hard cider and cook on medium until hot. Garnish with fresh apple slices. Dark rum puts forth the flavor of molasses—its raw material—making it a charming companion for black coffee. Add in a splash of maple syrup and cognac, and you’ve got yourself a delightfully sweet and boozy cup of Joe. Try it: as an afternoon pick-me-up in between backcountry ski tours or runs at the resort. For those brave souls still camping in the cold, try this recipe for a well-deserved morning jolt. Mix all ingredients, adding the hot coffee last. Garnish with grated nutmeg. Adding applejack and ginger juice to a classic hot toddy gives it a boost of spice for extra warmth on the taste buds. 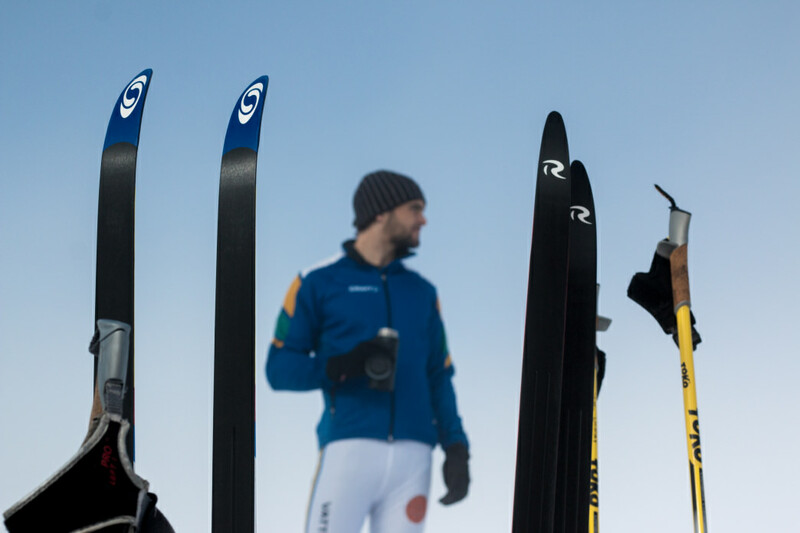 Try it: in a Thermos while out Nordic skiing, snowshoeing or hiking. 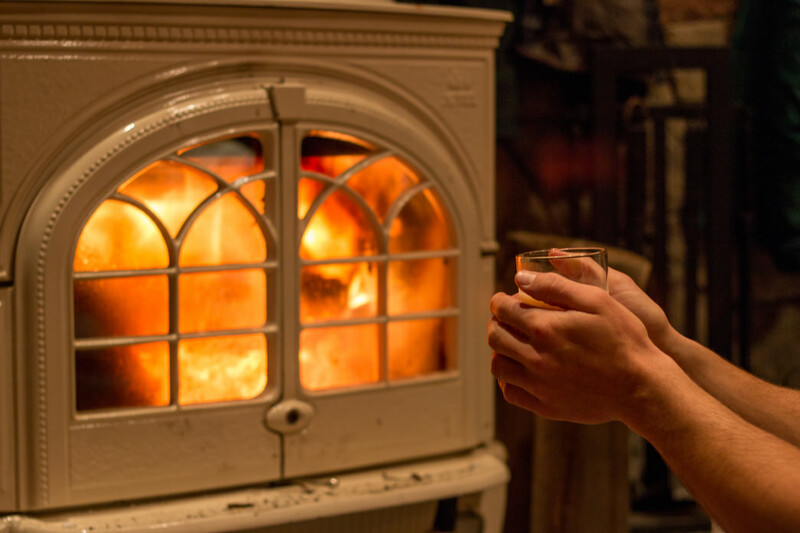 You also can’t beat sipping this cocktail by the fire after a day spent playing outside. Mix equal parts sugar and water to make simple syrup (no need to heat the mixture, just give it a good stir and let the sugar dissolve). To make the ginger juice, grate a knob of peeled ginger, then squeeze the grated ginger to extract the juice. Stir all ingredients together, adding the hot water last. For style points, garnish with a clove-studded lemon wheel.